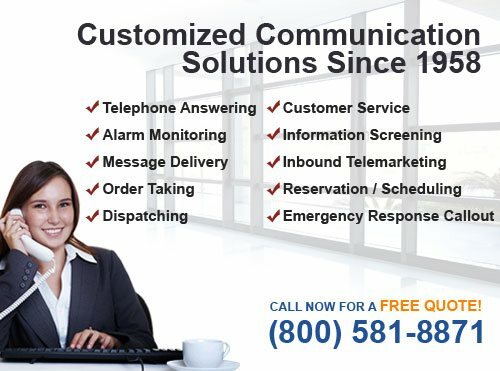 Since 1958, BTE Communications has provided businesses in Spokane, Washington, and across the United States with comprehensive, customizable, and professional telephone answering services at cost-effective prices. Our highly experienced operators are trained to handle all types of inbound calls. We excel in handling general inquiry calls, order taking, scheduling, customer service complaints, dispatching, information screening, rerouting calls, taking and forwarding messages, and more. We use the latest call center equipment, a dedicated team of phone agents, and advanced call analytics with thoughtful planning to make sure that we answer calls on your behalf within the first three rings and are prepared to handle spikes in call volume. Our services are available 24 hours a day, 365 days a year to provide your business in Taft with the reliable call center support it needs. Call us today for a free, on-site consultation and quote. We look forward to hearing from you. At BTE Communications, our call center operators have, on average, more than ten years of experience, and can be trusted to handle all calls with courteous and professional service. They work around the clock to help local Taft businesses capture new leads, get important messages the way they need them, and provide their existing clients with responsive and dependable customer service. Our 24/7 call center utilizes the latest CMC software and hardware. This allows business owners in Taft to benefit from the highest quality answering services in the industry and have access to advanced features, such as voicemail trees with custom hold prompts, message forwarding, remote alarm monitoring, two-way radio dispatching, and more. To ensure each one of our clients gets the best value possible, we customize our answering services to meet each business's specific needs and budget. In every case, our live operators provide our commercial and industrial clients with reliable and courteous service. BTE Communications is proud to be associated with the Association of Teleservices International (ATSI) and Startel National Users Group (SNUG). Call today to have BTE customize an answering service plan for your specific voicemail needs in Taft. For all your customer service needs, trust BTE Communications to provide exceptional customer care at cost-effective prices for businesses in Taft. With over 50 years of experience, we understand the importance of treating customers right, which is why our customer service representatives. are professionally trained and dedicated to personalizing each call so your clients feel genuinely cared for. 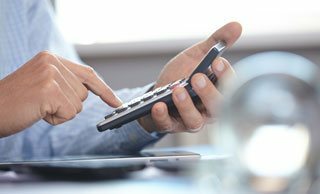 Our experienced operators have handled accounts in various industries such as legal, health care, water and power, and more. No matter the issue, the phone agents at BTE Communications will take care of all customer questions and concerns in a professional and courteous manner. To find out more about customer service for your business in Spokane, WAll today. Since 1958, BTE Communications has provided Taft with comprehensive order taking services. With our professional order taking service provided by our 24 hour call center, your business will be able to drive more sales, increase customer satisfaction, and maximize revenue through recommendations, promotions, specials, and more. We have live operators proficient in both English and Spanish (and have access to a 24-hour translation line), and can be relied upon to take orders and payment information with incredible accuracy. Plus, we always take extra precaution to keep all client information strictly confidential. Call today to learn more about BTE Communications' order taking services in Taft. Rely on BTE Communications to provide you with the comprehensive and customizable information screening services your Taft business needs. With this service, we have been able to help thousands of clients throughout Kern County and beyond when they need to screen job applicants, potential tenants, research participants, and class action lawsuit participants. We have a large, highly trained staff at BTE Communications that is available 24 hours a day to answer your calls, ask your predetermined questions, and follow your specific procedures, so that qualified callers can either be added to your designated data management system or rerouted to your specified employees. Call today to learn how our phone answering services can provide your Taft business with a cost-effective solution for all of its information screening needs. With BTE Communications' reservation and scheduling services, your business will essentially have its own dedicated virtual receptionist. 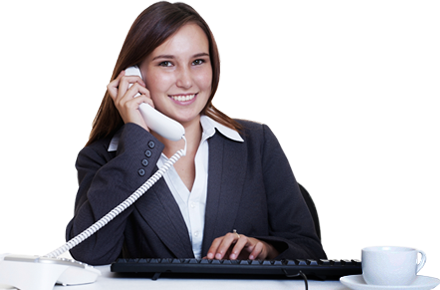 Our phone agents have on average five years of experience and an extensive amount of training. They'll be able to answer your calls as if they are an in-house member of your team, provide superior customer service, answer frequently asked questions, take messages, and work with your scheduling or reservation system remotely. By having a team of agents handling your inbound calls, you can trust that even a large volume of calls is being handled in a timely manner. Our virtual receptionist and scheduling and reservation services are ideal for those companies that need to sign up individuals for services, such as financial planning sessions, flu shots, and more. Call today to have the highly trained agents at BTE Communications provide high quality reservation and scheduling services for your business in Taft at a surprisingly affordable rate. When you work with BTE Communications, you'll have a team of fully prepared, carefully screened, and highly experienced phone agents who will act as representatives for your company. This means our live operators will answer your calls using your company's name and utilize your company's call script for accurate, efficient service. Trust our highly trained staff to increase the success of your sales efforts for your business in Taft. BTE Communications has provided professional dispatching services in Taft since 1958. This services is ideal for service-based businesses with technicians that are primarily off site and need to be dispatched throughout the day to their next assignment. Our call center operates 24 hours a day, 365 days a year to answer all your calls. At BTE Communications, each one of our employees is trained to answer urgent calls with promptness and efficiency as well as execute all instructions in accordance with your company procedures and call script. As soon as our operators gather the necessary information, they'll connect with your employees out in the field to give them the information they need (via two-way radio, cell phone, or tablet) to proceed with the next assignment. Our excellent service record providing dispatching services to businesses throughout the West Coast is a testament to the care and attention with which we handle each call. Contact us today to find out how BTE Communications can provide affordable and easily customizable dispatching services for your business in Taft. For a quick, well-coordinated response to emergencies at your Taft business, have BTE administer your alarm monitoring and emergency response coordination. Our inbound call center has become an integral part of thousands of contingency and emergency response plans for businesses across the United States, and have been used to coordinate responses to fires, gas leaks, onshore and offshore oil leaks, tsunami warnings, floods, and a wide variety of other emergency situations. Regardless of the emergency, our customizable service allows you to create the most effective emergency plan for your business, so your safety protocols are executed the way you need. With our service, you'll be connected to our system via dedicated phone lines that let us know instantly the location of the emergency. Our computers will automatically pull up the protocol as well so that our operators can immediately send out notifications and disperse critical information to your management team as well as emergency responders. Call today to learn more about our 24-hour alarm monitoring and emergency response coordination services provided to Taft businesses.